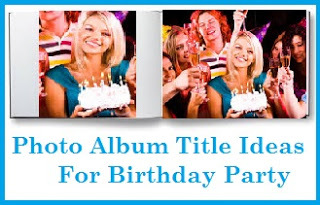 If you are planning a 40th birthday party for your someone special then writing a special 40th birthday cake message will be an excellent idea. So to help you write the perfect 40th birthday cake message here is a collection of unique 40th birthday cake wordings that you can use. Read on to find the perfect birthday cake message for the 40 year old Birthday Boy or the Birthday Girl! * Cheers to 4o Years! * Keep Calm you are only 40 today, Birthday Boy! 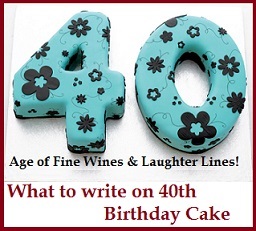 * 40 - Age of Fine Wines and Laughter Lines! * 40 And Still Hot! Happy Birthday Boy/Girl! * Life Begins at Forty Birthday Boy! * Happy Birthday to 40 Years Young Birthday Girl! * Happy 40th Birthday ! * Lordy Lordy! Look Who's 40! * This Birthday Girl is Fierce, Fabulous and Forty! * Cheers and Beers to 40 Years! Happy Birthday! * Happy Birthday to 40 Years Young Birthday Boy!